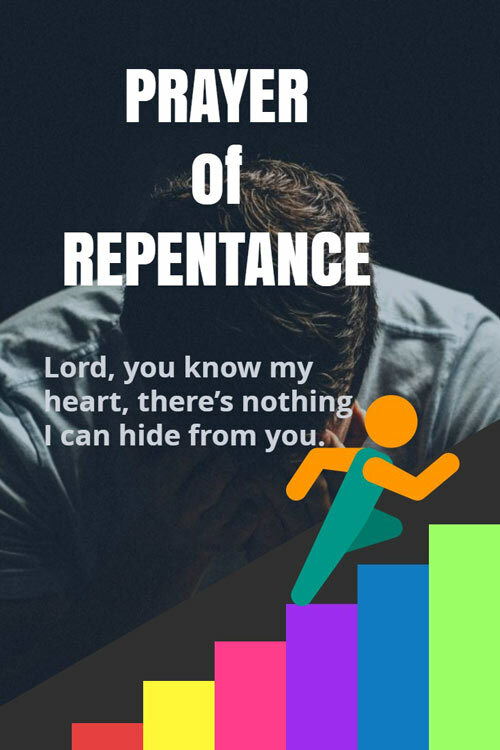 Heavenly Father God, I come to you now to repent the sins that I have committed against you and against my brothers and sisters. Create in me a clean heart, O God, take away the guilt and sorrow that I feel. Psalm 25:7 Do not remember the sins of my youth or my transgressions. According to Your loving kindness remember me, For Your goodness’ sake, O Lord. Renew in me your steadfast spirit so that I may hold onto your word and your promises. Fill me with your Holy Spirit. Let him be my guiding light, leading me away from sin and strengthening me to overcome the wiles and tricks of the enemy. Lord, you know my heart, there’s nothing I can hide from you. I have strayed from the path, I have been lured away. But, Oh Heavenly Father, restore to me the joy of Your salvation, that wonderful freedom and joy when I first came to know you. Lord, I sacrifice my broken spirit, my broken and a contrite heart. Heal me Lord as I come before the cross. 2 Corinthians 7:9 As it is, I rejoice, not because you were grieved, but because you were grieved into repenting. For you felt a godly grief, so that you suffered no loss through us. Father, on this day forward, I will love you and praise you from the bottom of my heart. For by you alone am I saved. Grant my petitions, Abba Father. Thank you, In Jesus name I pray, Amen.